Concerned about securing a home in Singapore? Life will be so much easier when you finally become a Singapore permanent resident. Get help with your SPR application and you may be one step closer to becoming eligible for subsidised housing by the Housing & Development Board (HDB). Unlike foreigners on any other pass, Singapore permanent residents who are at least 21 years of age may be able to purchase an HDB resale flat as a family unit. 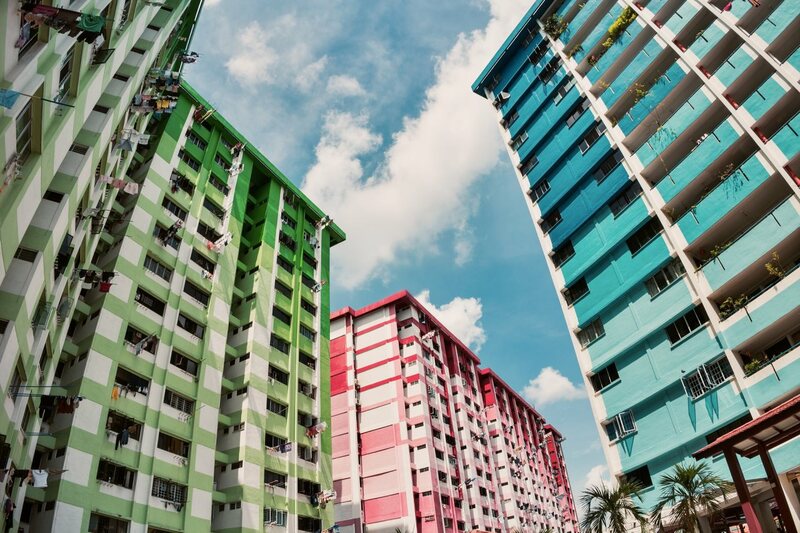 Before you become an HDB flat owner, get to know these key rules and guidelines set by HDB and you will have no issues at all with blending into the local population. Planning On Hacking Down Any Walls? Check First! If you are an avid viewer of home renovation television shows, you would be familiar with the concept of load-bearing walls. All structures adhere to safety guidelines put in place to ensure that they remain structurally secure. The same applies to HDB flats! Certain walls are absolutely vital to the HDB flat’s structural integrity and, therefore, can never be demolished. That is why you should always approach HDB for prior written approval if you do intend on demolishing or hacking down any walls, whether it is complete or partial. Each flat comes with their own set of guidelines; always double check with HDB officers in charge of your area beforehand. If you intend on engaging in some home improvement when you finally purchase an HDB flat at any point, do note that HDB imposes time limits on all renovations in HDB flats. These guidelines were created in order to maintain peace within each neighbourhood, an aspect in which Singapore is consistently ranked among the best by numerous global surveys. Firstly, all approved renovations in resale flats need to be finished within a month from the date indicated on your permit. This fairly prevents unnecessarily lengthy renovations from occurring, thus ensuring continued harmony between neighbours. As a permanent resident, you are also equally protected under this guideline. Living in Singapore means that you will always have the right to a peaceful way of life, unhindered by needless noise and inconveniences. In addition to this deadline, general renovation works must only be done between 9am to 6pm on weekdays and Saturdays, excluding public holidays. Noisier renovations, such as demolition or drilling, should also never be done on Saturdays, Sundays, and public holidays, and should always end by 5pm every weekday. Fret not, you should face no issues as long as you stick to the list of HDB-approved contractors since they are most likely aware of all these rules and guidelines that pertain to renovation works in particular. The full, detailed list can also be easily obtained online on the official HDB website at any time. To prevent any objects from falling, all balconies, parapets, and window ledges should be free of any other objects that may get knocked towards the ground off easily. One of the many reasons why Singapore is as safe as it is includes residents who respect and abide by such rules; do the same and you will fit in seamlessly. Of course, you are more than free to decorate the corridor outside your house with neatly potted plants as long as they do not obstruct the walkway. Cleanliness is of the utmost importance here in Singapore, and the same applies to life as a flat owner. HDB requires everyone to keep all shared spaces such as corridors and lifts clean and free from obstruction. For instance, all garbage must be properly bagged and disposed of. Here in Singapore, though, garbage disposal is always more than convenient for all residents. Older HDB flats usually come with a rubbish chute within the premises while shared rubbish chutes near the lift of your building are provided in more recently constructed flats. These chutes send garbage bags directly to the large garbage disposal area on the ground floor, which will later be cleared by workers who are employed by HDB. As such, burning items should also never be discarded down these chutes to prevent the incidence of fire. In addition to garbage disposal, bulky items should never be placed in shared corridors or areas near lifts in a way that may inconvenience others. Any debris from renovation works should be neatly stacked outside the flat in question while awaiting debris removal services, designated by your Town Council. Where no such service is provided, you must ensure that your hired contractors dispose them properly at designated dumping grounds. If you have any plans to adopt or bring your family pet, do ensure that your pets do not cause any disturbance to your neighbours. In addition, do keep your pets on a leash when you take them on walks. Dogs who are not yet properly trained must also be muzzled when taken outdoors to prevent harming others until they are deemed ready. For those of you planning to keep your pets in cages, do place them indoors at all times — this keeps them safe as well!